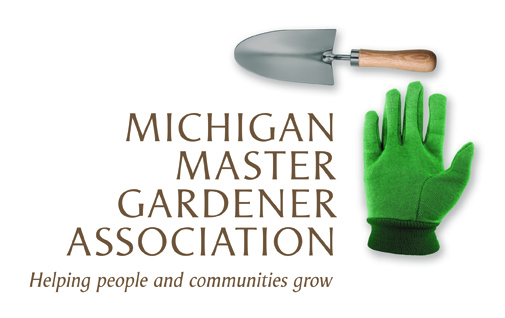 Master Gardener Program--Harper Woods — Michigan Master Gardener Association, Inc. Description of the Event: The MSUE Master Gardener Program is a volunteer leader training program for people who are enthusiastic to learn science based environmentally friendly gardening practices and share this knowledge with others to help improve Michigan communities. This class will be held on Tuesdays from 6 to 10 p.m. at the Wayne County Community College District Auditorium, 19305 Vernier, Harper Woods, MI 48225 running from Aug. 23, 2016 to Nov. 22, 2016. The cost of the 14-week program is $300, which includes the 1,000-page training manual. There are no other out-of-pocket costs. The registration deadline for this training class is Aug. 7, 2016 for payment by check and Aug. 12, 2016 for payment by credit card. Access to World Class Gardening Knowledge. The MSU Extension Master Gardener Program connects gardeners across the state to MSU's faculty and resources. Participants have access to information generated at one of the nation's top plant science teaching and research universities and the chance to use this knowledge to improve their communities and enrich their lives. Master Gardener volunteers start by completing one orientation and a 13-session practical curriculum grounded in university research. This training consists of approximately 45 hours of training with classes on plant science, soil science, integrated pest management, diagnostics, annuals and perennials, woody ornamentals, lawns, vegetables, small fruits, tree fruits, household and nuisance pests, indoor plants and gardening practices to protect water quality. Participants must commit to attend all the training sessions and complete all (open book) quizzes and final exam with an overall score of at least 80%. Missed classes (up to two) may be made up by attending class lecture on the same topic offered in other locations. Viewing approved recorded sessions is another make up option but is less engaging for course participants. Creating a horticulture therapy program at a senior center. Helping a neighborhood association create an urban garden. Designing and caring for gardens at senior centers, parks and other public sites. Teaching classes on how to garden. Establishing vegetable gardens to meet local nutritional needs. Sharing environmentally-friendly gardening practices at community events. Beautifying community sites for special events or community activities that attract local residents and tourists. To maintain your certification after your initial certifying year, you will be required annually to complete and report 5 education and 15 volunteer hours as well as complete a 3-step re-certification process (which includes a $20 re-certification fee). To enroll in the MSU Extension Master Gardening training, please complete the online registration and agreement forms. Payment is required at the time of enrollment. Trainees may be interviewed by current Master Gardeners and/or staff prior to engaging in volunteer activities and depending on local requirements, trainees may also be required to undergo a criminal background check before they volunteer. Credit card payments - a credit will be issued to your credit card for the amount paid. Payment by check - MSU will prepare and mail you a check for the amount paid. This process takes about two weeks after the refund has been requested. Online registrations must be completed by registration deadline or earlier. In the rare event that a registration is accepted after the due date, an additional $25 fee will be assessed to cover registration processing and the Master Gardener manual shipping costs. Your class slot is not reserved until payment in full is received and processed by MSU. Your registration will be cancelled if payment in full is not received by the specified payment due date for your form of payment (i.e. check or credit card). Check Due Date: Postmarked by two weeks prior to Aug. 7, 2016 to allow for mailing and processing by the registration deadline. You have the option of canceling your Master Gardener training registration at any time. Refunds will be issued per the Refund Policy. A full refund, less a $25 processing fee, will be issued for any registration cancelled prior Aug. 7, 2016. No refund will be issued for any registration cancelled After Aug. 7, 2016. No refund will be issued for any registration cancelled after the class has started. The MSU Extension Master Gardener Training Manual is for certified Master Gardeners and as such must be returned. Partial scholarships may be available. Please email or call the contact person listed below for additional information. Part or all of the training is offered using distance technology with a connection to another training site. Instructors, who have been selected for their expertise on a specific topic, may not be present in the classroom but will be available via distance technology to answer questions.